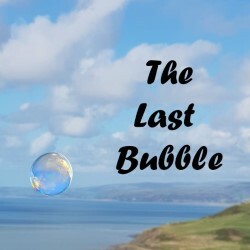 The Last Bubble tells the story of football enthusiast Rhys, who is fighting a battle with cancer, and his brother Callum whose time within the piece is spent creating a memorable project that is very close to his heart. The story represents the challenges that Rhys faces and how his battle not only affects him, but also the people who surround him. Throughout the piece, the relationships between the characters are tested as we witness how each of them copes with Rhys' struggle.